We’re so excited about this blog and looking forward to sharing our love of fitness with you all! My fitness journey began at a very young age as an active, high-energy girl growing up in Pittsburgh. I was always jumping and flipping off of the furniture, standing on my head or running around in the back yard. I learned to water-ski and snow-ski early on and had taken several dance classes. At the age of 6, my parents enrolled me into a gymnastics program that I quickly fell in love with. I competed for 7 years before I decided to leave the gym and try my hand at team-oriented sports. I tried soccer, softball, lacrosse and track, which I enjoyed, but I missed flipping and performing. I joined a junior fitness show team when I was 13 and attended the Fitness Olympia in New York City and had the opportunity to perform on Broadway. Following the Olympia we were invited to perform at the Arnold Classic in Columbus, Ohio 2 years in a row. After being surrounded by some of the fittest competitors in the industry and performing on some of the worlds greatest fitness stages, I knew I had found my calling! After 2 years, the show team evolved into competitive All-Star cheerleading. At the same time I joined my High school team and continued cheering on both squads throughout the next 4 years. I realized that I loved the sport so much and wanted to continue through college. 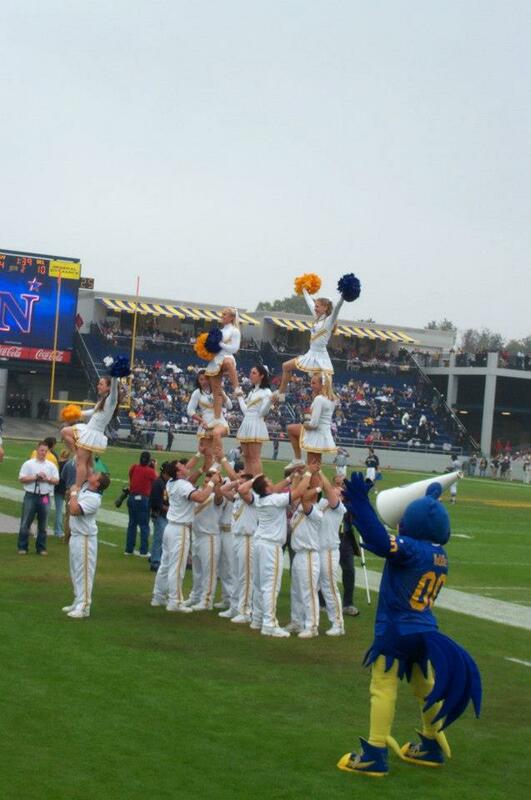 I was recruited to cheer for the Blue Hens at the University of Delaware and could not have been happier! I absolutely LOVED my time there and had the opportunity to be surrounded by some amazing training experts and nutrition specialists, who helped me develop healthy habits that I still have today. Once I graduated, I realized that I still wanted to be part of a team and perform. I moved to New York City, started cheerleading for the NJ Nets and training to compete in a Fitness Competition. In May 2010, I won my first competition, the Fitness America Kumite Classic in my hometown of Pittsburgh! I went on to place in the top 10 at the Fitness Universe pageant in June of 2011. These days, I’m still cheerleading for the NBA and plan to compete in the future, but I am enjoying this time off of intense competition prep and experimenting with training and nutrition. I have always kept a relatively clean diet (aside from my sweet tooth, which has earned me the nickname, “Sugar”) but it’s been very plain. I used to eat the same exact bland meal day-in and day-out. This past year, I started to experiment with clean recipes that I found on other blogs, magazines or from friends. Outside of the gym, I enjoy reading and spending time with my family and friends at our lake house in Pennsylvania (Conneaut Lake.) This past June, I was married there to my then boyfriend of 6 years and fellow meat-head, Andrew. For the past 5 years, I had been working as a CPA in New York City at various accounting firms. After returning from our honeymoon, I decided it was time to follow my dreams and move into the Fitness Industry. I left the corporate world of accounting and began as a Personal Trainer at Equinox on the Upper East Side and I couldn’t be happier! I love working with people one-on-one to help them lead a healthier lifestyle. I’m so excited to expand our reach and hope to help others through this blog! Great site Kayte, Im so proud of you! Of course one of your fav things would be chapstick!! LOL. Im looking forward to your healthy recipes! !